The financial institution bets on digital transformation towards customer’s loyalty. 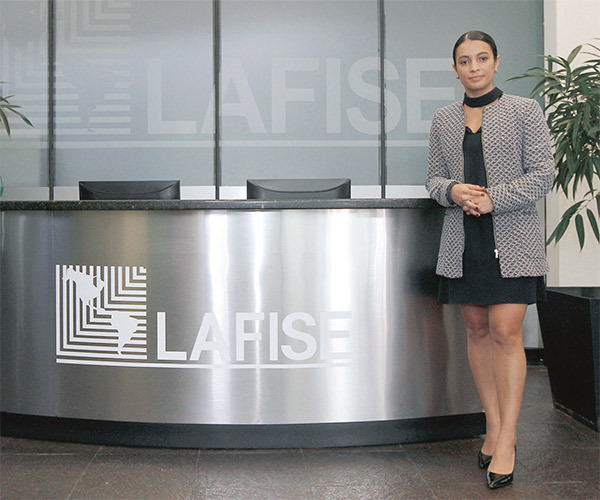 “LAFISE Bank is constantly focusing on how technology can improve their customer’s experience,”, said Carolina Martinez, Private Banking General Manager at Bank LAFISE. 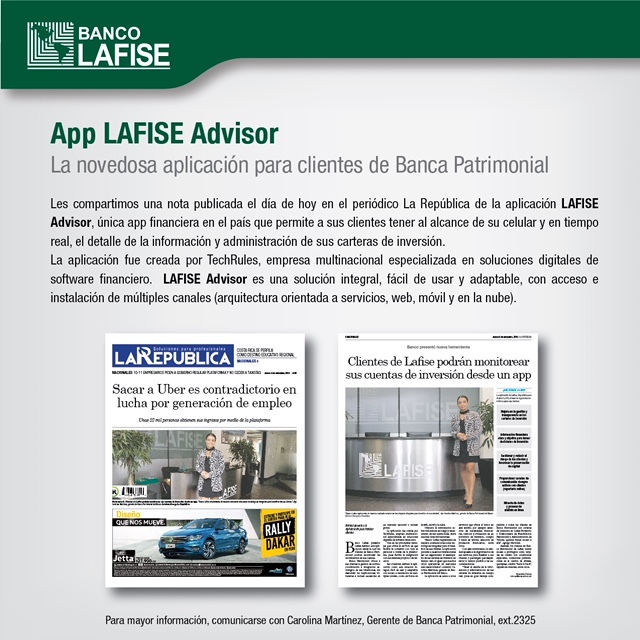 LAFISE Bank has recently launched LAFISE Advisor, a mobile app that allows private banking customers to monitor their accounts. Wealth management and financial planning services covering both local and international markets are offered by private banking to their customers. Techrules, an international company focusing on digital financial solutions developed the application. LAFISE Advisor is comprehensive, easy to use and scalable, with modular and multi-channel access and installation (service-oriented architecture, web, mobile and cloud). Its flexibility enables the easy integration of the third-party system with the existing systems. TechRules describes this as an easy-to-use, comprehensive and adaptable solution including modular and scalable architecture with multi-channel access and installation (service-oriented architecture, web, mobile and cloud). The APP supports the private banking business, key features include the investment strategy, portfolio management and rebalancing, asset allocation, risk control etc. “LAFISE Bank is constantly innovating its digital solutions with the aim of improving their customer’s experience. LAFISE Advisor now provides their customers with real-time prices in these new markets, similar to what it has previously done for more developed markets”, said Carolina Martinez, General Manager at LAFISE Private Banking. This supports their current digital transformation strategy with benefits gained through improved customer’s loyalty and making it easier for their customers to transact. “For customers to be able to review their information and to manage their investment portfolios in real-time provides us with an industry advantage in the investment portfolio, trust fund, wealth and asset management service,”, said Martinez. Private banking customers using the app will also have access to other services, such as credit cards with special interest rates, reduced exchange rates commissions, quick-pass, “back to back” credit requests, quicker transaction time amongst others. data mining and online process analysis.